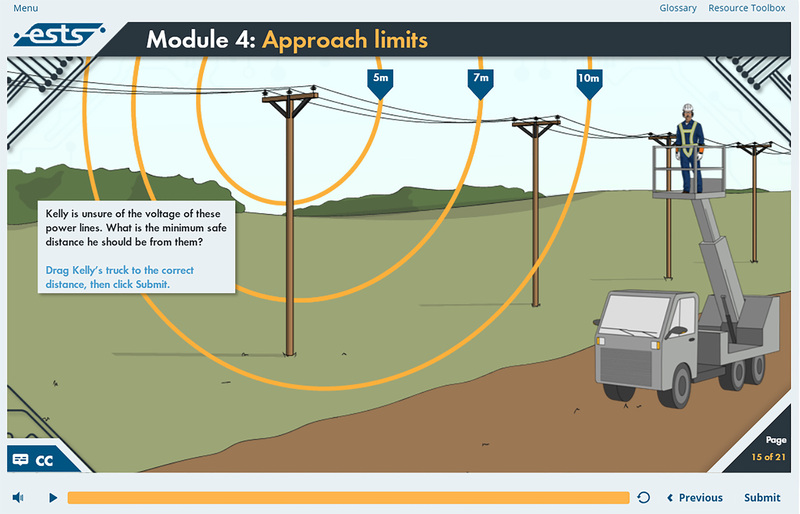 The newest version of our 2018 compliant ESTS course was developed for workers that perform energized electrical work. The overall course content was developed using industry accepted best practice standards as the underpinning in support of meeting Provincial or Federal regulatory due diligence for arc flash and shock. 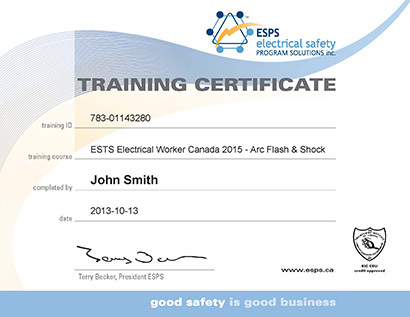 ESTS Electrical Worker training is based on industry Standards and Regulation, providing documentation tools in support of the Employer’s overall Occupational Health & Safety Management System and an Electrical Safety Program. Employers are required to have an updated Electrical Safety Program based on industry Standards and Regulations for workers to receive the most benefit from this course. Combined with educational best practices including Blume’s taxonomy of learning: allowing learners to learn through visual, audio and kinetic means. Heinrich’s Triangle of preventing Industrial Accidents is also utilized to interpret and manage risk. 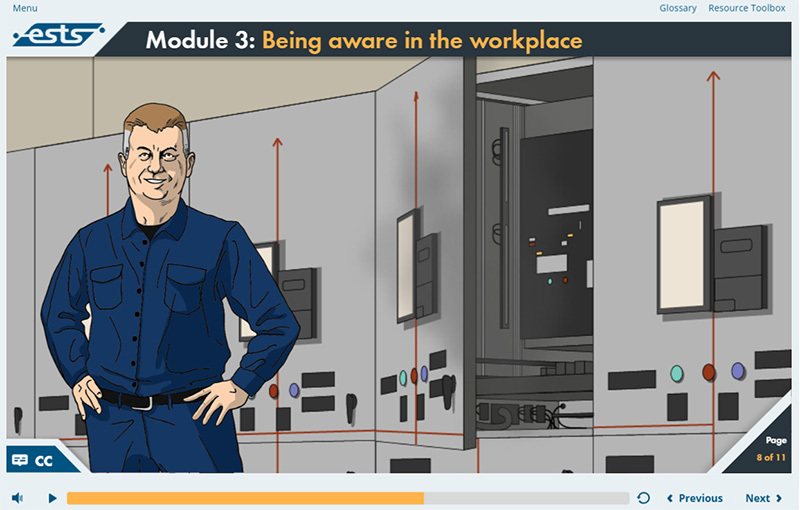 Our online electrical training course is CSA Z462-18 and OHS Z-1001 compliant? Students who score 80% or greater earn their training certificate and can apply for 0.6 Continuing Education Units (CEU's). Final assessment questions are fully randomized so Workers never have the same exact questions. Apply preventive and protective control measures to reduce risk. 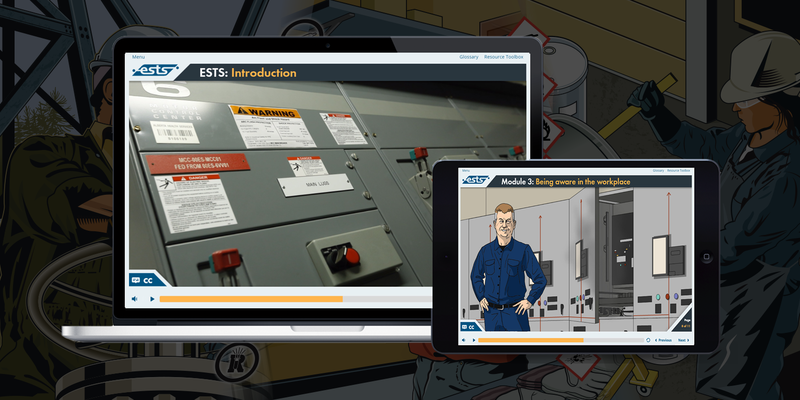 Consider using theESTS Electrical Worker course as an effective prerequisite to Instructor-led training in a blended learning model. The follow up Instructor-led training session can focus on the application of the ESTS eLearning knowledge. Employers can use internal or external Trainers. We also offer “Train-the-Trainer” and “Train-the-Validator” courses. Visit our website for more information on how to maximize the effectiveness of your workers training, our Instructors will come to your site!